There is one thing I miss about not having a dinning room. It's being able to host dinner parties. You know, the ones where you make an effort with candles, and matching crockery, and actually ask for advice in the shop on which wine to buy rather than picking the one with the prettiest label. 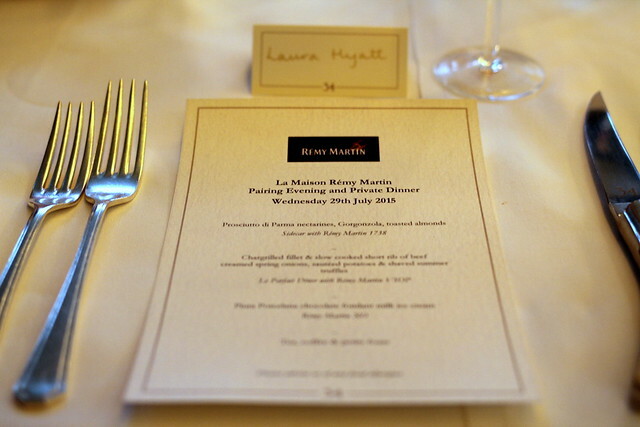 Luckily I still got to partake in my love of dinner parties as La Maison Remy Martin very kindly invited me to an intimate dinner they were hosting at 34 restaurant in Mayfair. 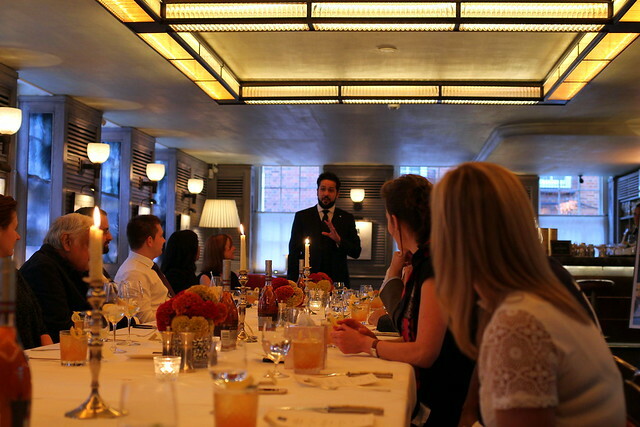 And let's be honest, it beats any dinner party I could host hands down. 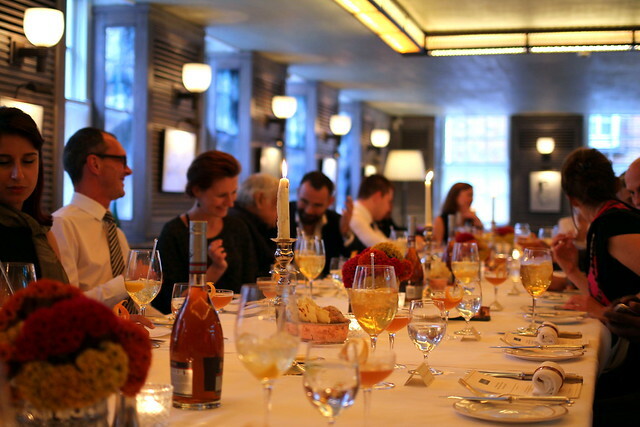 The dinner was in honour of the fact that for the entire month of November Remy Martin will be setting up a private members club in Soho, called La Maison Remy Martin. The club will have two bars, a shop and a gallery as well as hosting masterclasses and workshops. But tonight I would be receiving a sneak peak of the kind of cocktails on offer at the club along with delicious food pairings by 34 restaurant. 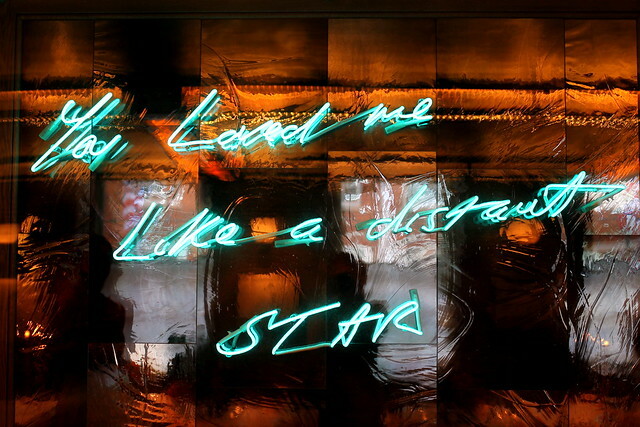 We we lead upstairs to the private dinning room called the Emin Room after Tracy Emin who designed some pieces especially for the room. 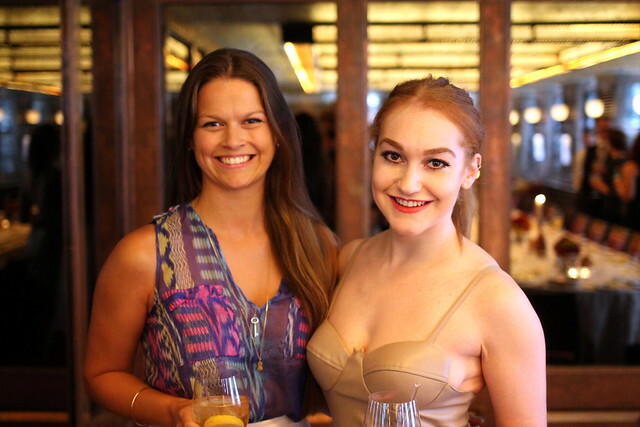 I decided to take along as my partner in crime, Nancy from It's A Lifestyle Thing. She is also an awesome photographer, so I was hoping to steal some tips from her. 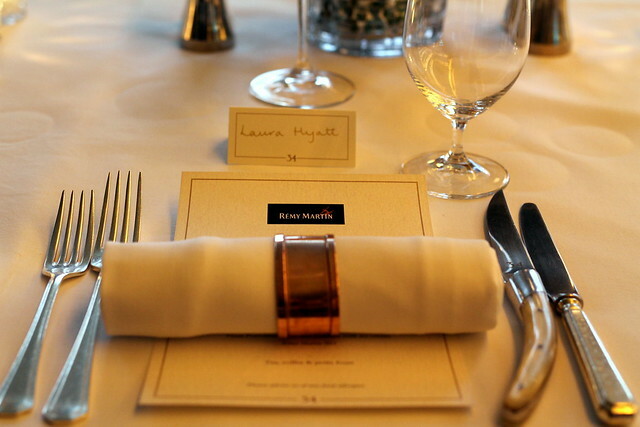 After mingling with the other guests, as any good dinner party should start, we sat down for our first course. I love the atmosphere of dinner parties. The chatting with the random person next to you, trying not the shout as you talk to the person across the table from you. 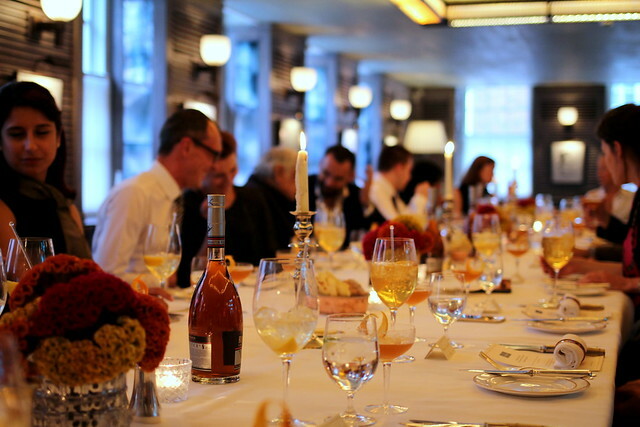 There is something rather special about dinner parties. Oh I do miss them, although hopefully in my planned Blogger House there will be a big table for all the dinners we will through. 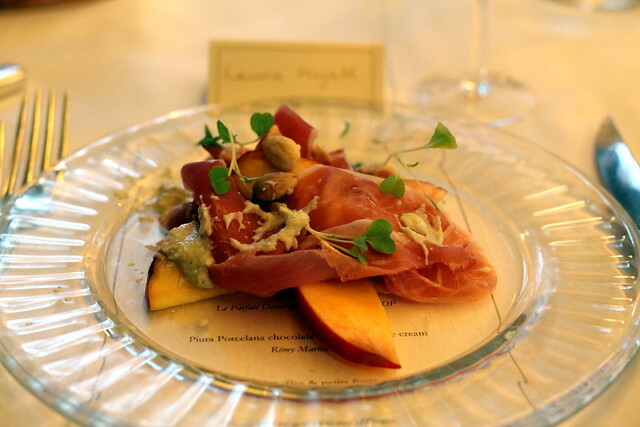 We started with prosciutto ham, nectarines, Gorgonzola and toasted almonds. Sounds so simple, but I can't tell how well this actually worked together. Something about the tangy nectarines with the sharp Gorgonzola just turned into a match made in heaven. I'm definitely recreating this at home. 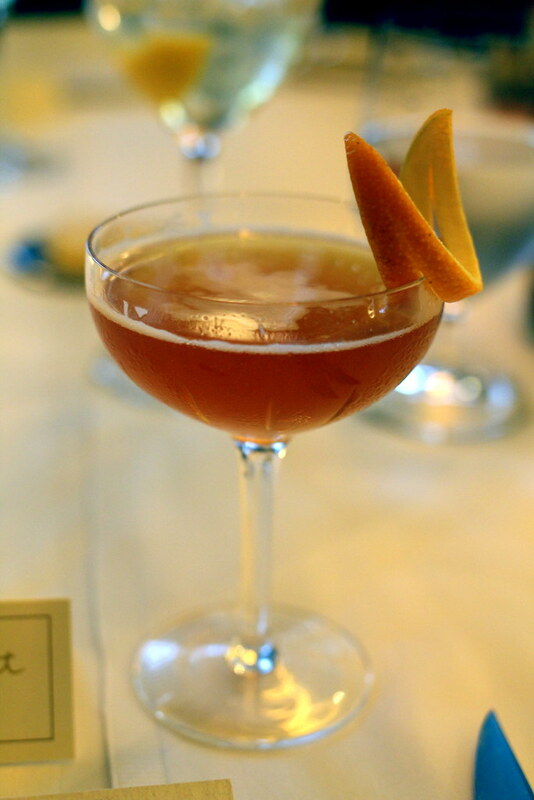 This was paired with a Remy Martin Sidecar made from Remy Martin, Cointreau and lemon juice. 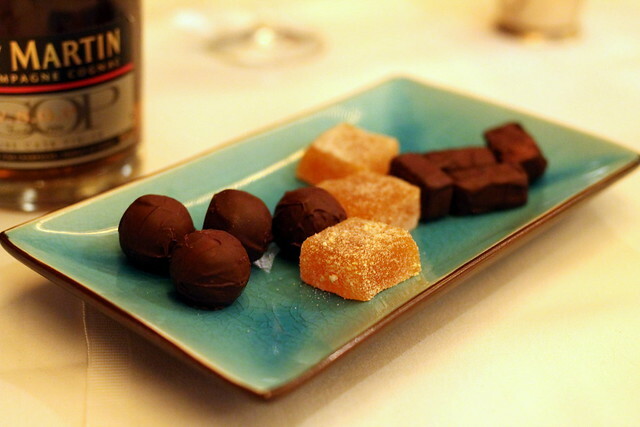 If you've never had cognac before and are a little put off, don't be. 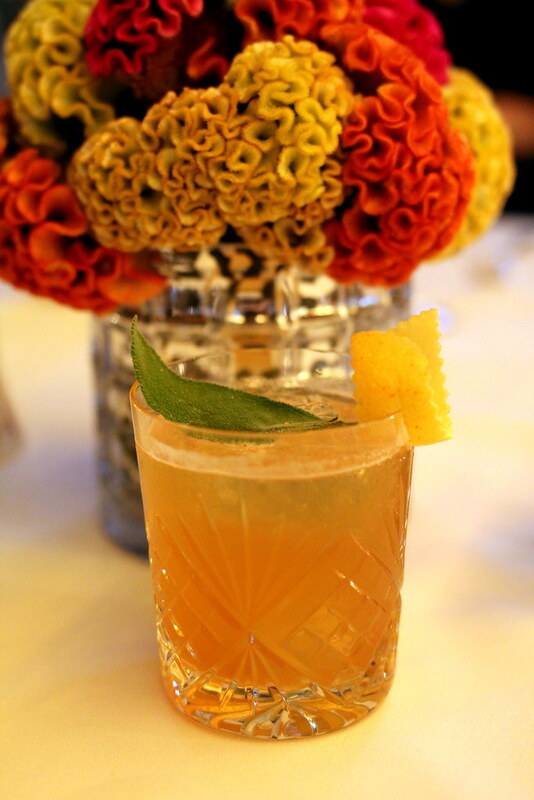 Having it mixed as a cocktail is the perfect way to enjoy it. 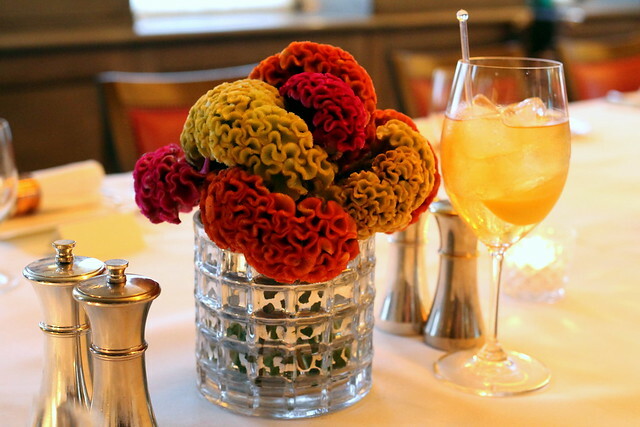 Have it with sweet flavours such as orange and lemon, and you'll soon wonder why you hadn't tried it before. Next was an interesting cocktail to say the least. Remy Martin and Beer. Yes that's right a beer cocktail. Now I hate beer so so much. However, I will admit this was drinkable. It might not be my preferred choice, but I can confirm that it does in fact work together. Learnt something new. Of course there could only really be one suitable food pairing with a beer cocktail, and that is streak. 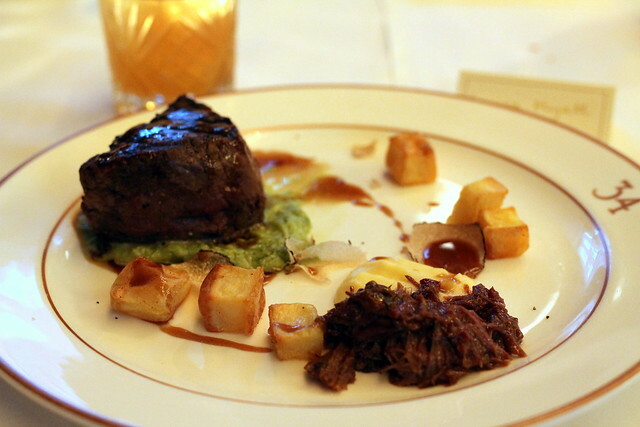 Chargrilled fillet with slow cooked short rib of beef, with roast potatoes, creamed potatoes and a pea puree. 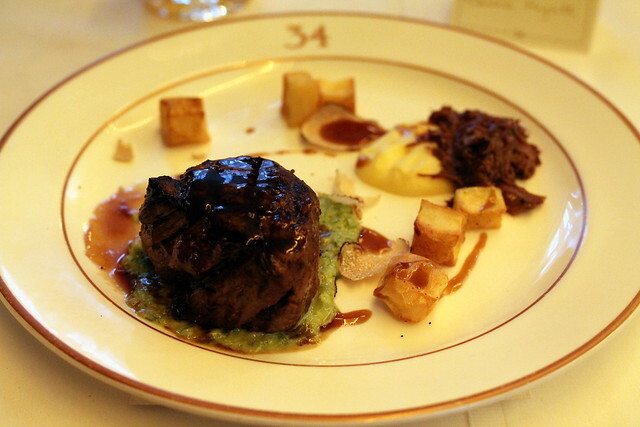 I don't need to tell you how important doing steak correctly is, but fear not, 34 really do do it so well .Just tender enough to have that melty feeling in your mouth. 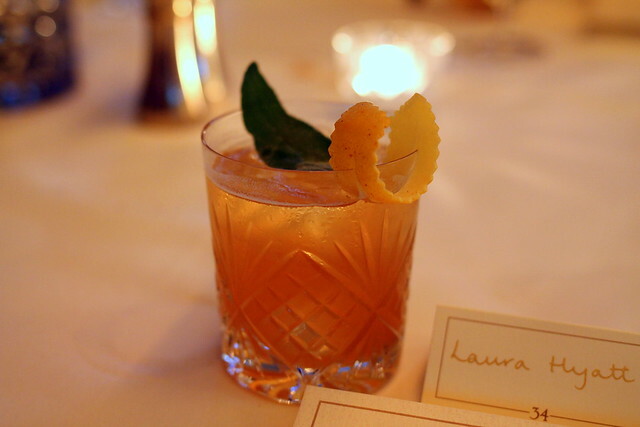 Our final drink of the evening really was something quite special. 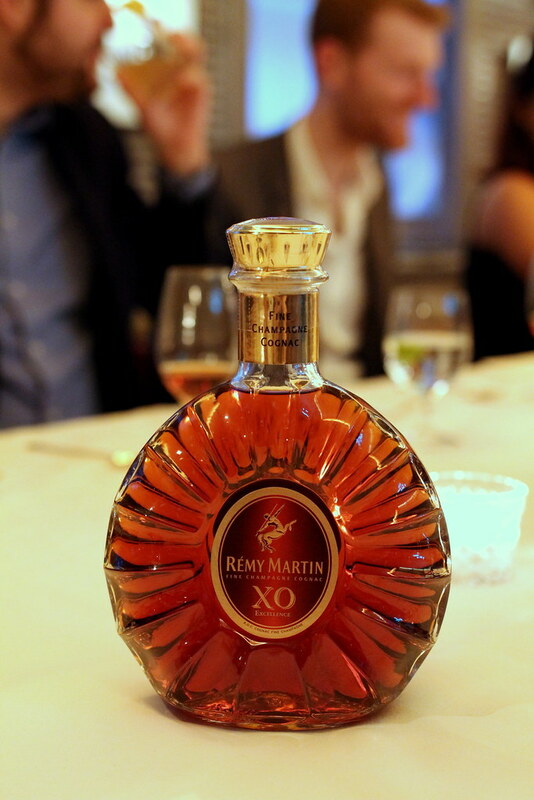 We had Remy Martin XO Excellence. This needs no mixers and is best enjoyed neat. It's almost got that Christmas taste. Candid oranges, cinnamon and figs. It's one of their finest blends and comes from the most exclusive vineyard in all of Cognac, France. When the dessert was presented to the table, I couldn't think of anything more fitting for it to go with. 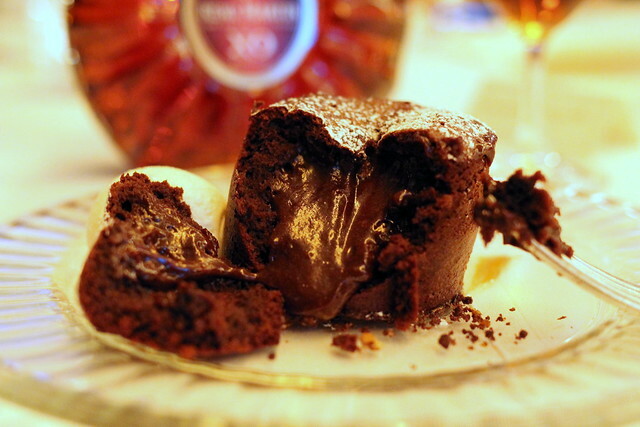 Chocolate fondant. Is there actually anything better? Oh that's the money shot. 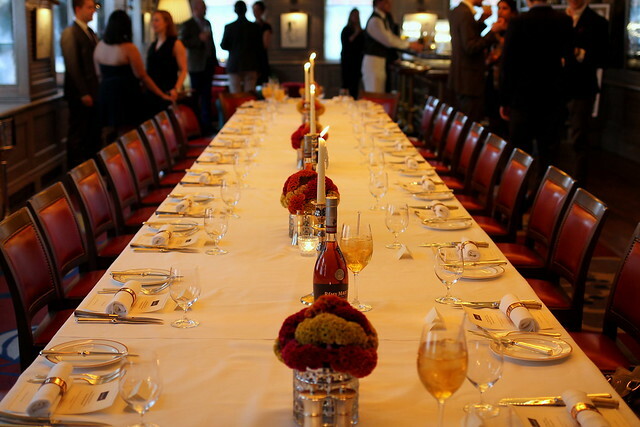 Sadly as all dinner parties must do, they must come to an end. However a good host always provides truffles and coffee for those still nattering away to their new found buddys around the table. 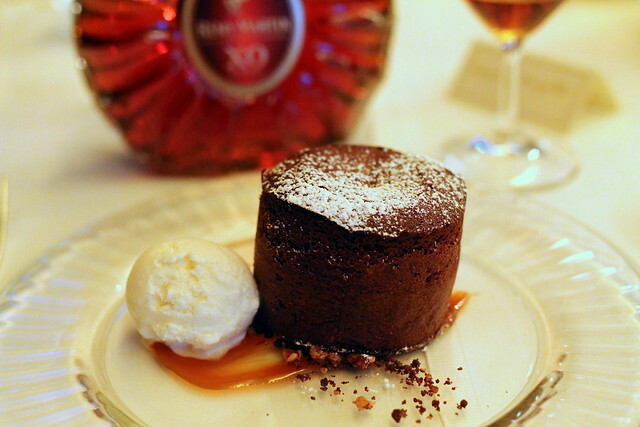 If this dinner was anything to go by, La Maison Remy Martin in November is going to be fabulous. Wow - all the food looks beautiful! I love fine dining. This sounds like a lot of fun, I'm in the Remy Martin club so look forward to seeing you again at one of their events if not before! This sounds like a great evening! 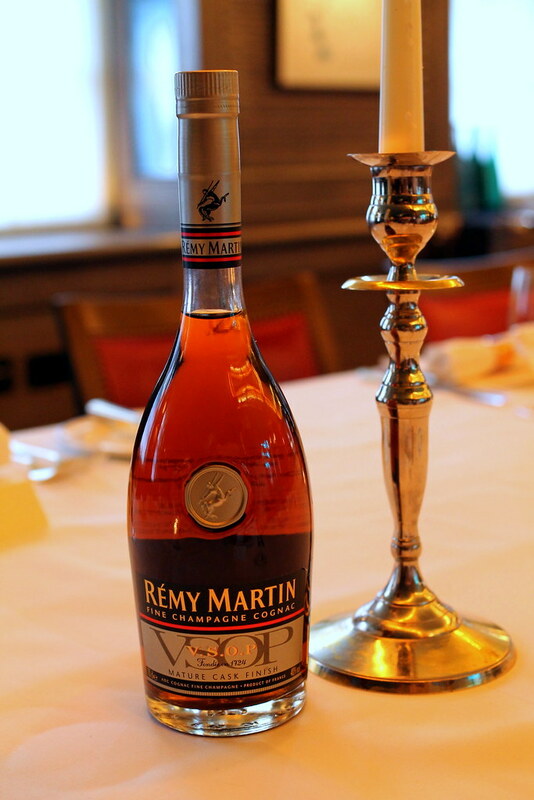 Popped my application in for the Rémy Martin club so hopefully we can go to an event together in November! Your dress is absolutely stunning! !